Today After WWDC Apple released the new Version of iTunes which is 10.3 and it is in its Beta version. 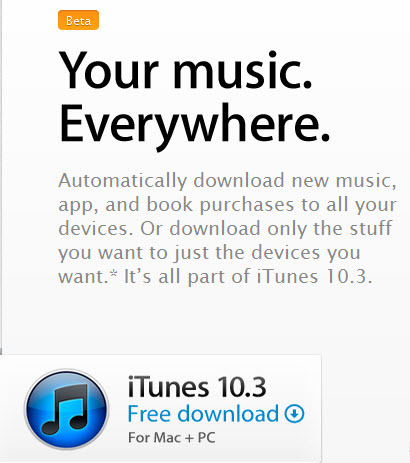 Till now iTunes 10.3 is not available via Apple Software Update. It is only available at the Apples Official website. You can Download iTunes 10.3 from here. This iTunes is still in Beta for the iCloud testing.